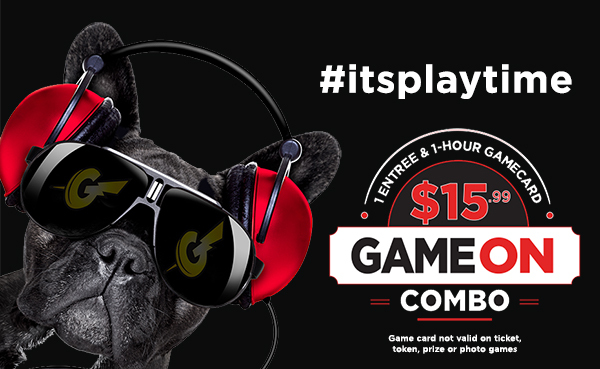 GameWorks Las Vegas is THE place to get your game on, located below AMC Town Square 18 and across from Yard House. This is the first location for GameWork’s new prototype entertainment center, which features lounge-like bowling, indoor and outdoor patio dining, and a tournament-ready 100-seat LAN gaming center for online console and PC gaming. GameWorks features 125 video games, a 105" HDTV video wall for spectacular sports viewing and private party rooms for up to 500. The restaurant offers guests a variety of dining options with appetizers such as house-made unique Gastro-Pub style American cuisine, including Short Ribs, Tequila Shrimp & Seafood Ceviche, Cast-Iron Fried Chicken, a delectable Triple Decker B.L.A.T., and delicious house-made desserts. Two full service bars are also available; one adjacent to the restaurant and one inside the bowling lounge.